Pork lovers! Keep scrolling for more porky goodness! 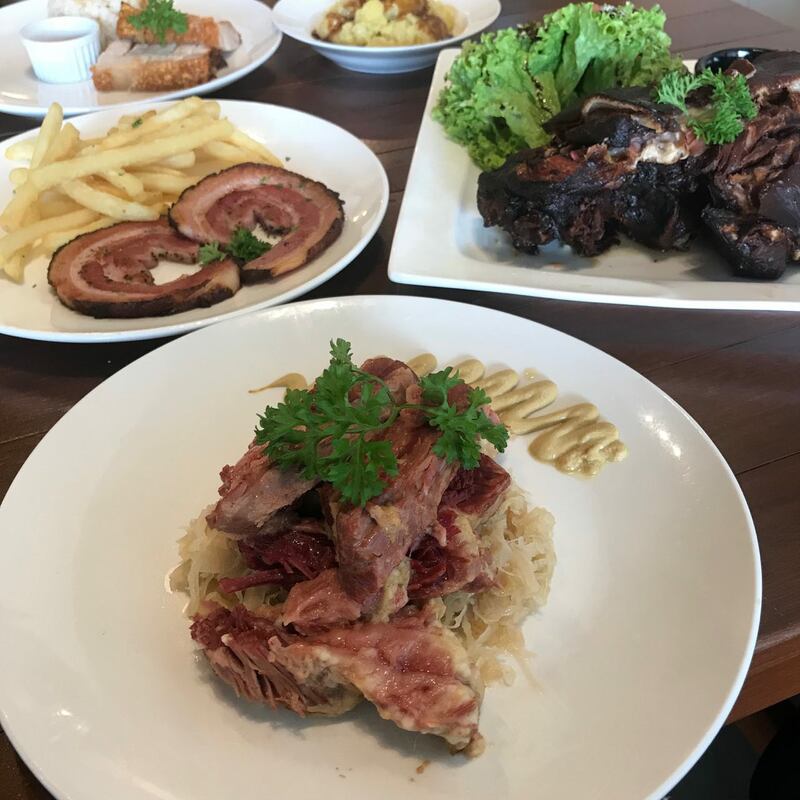 After we’ve heard about the melt in your mouth siew yoke from our colleagues, we checked out the much raved about The Butcher’s Table in SS2 PJ. 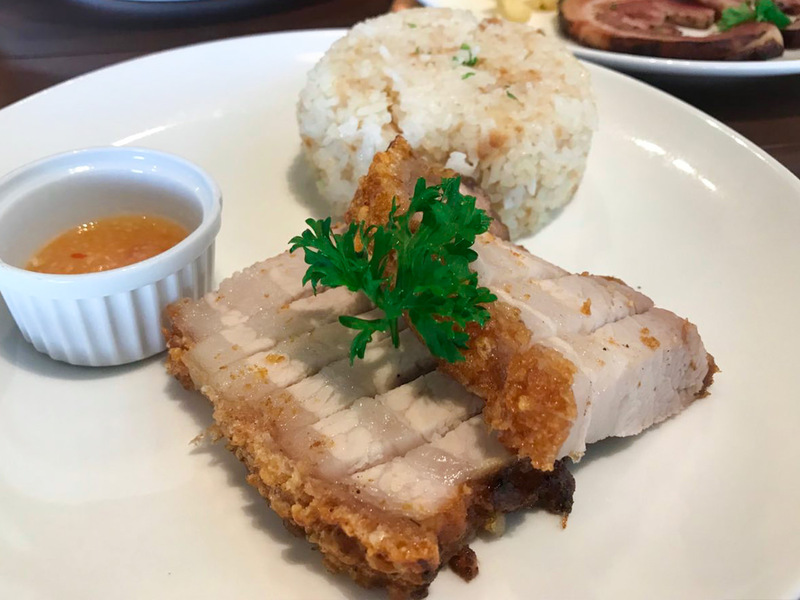 They are known to serve the best porky dishes in town! 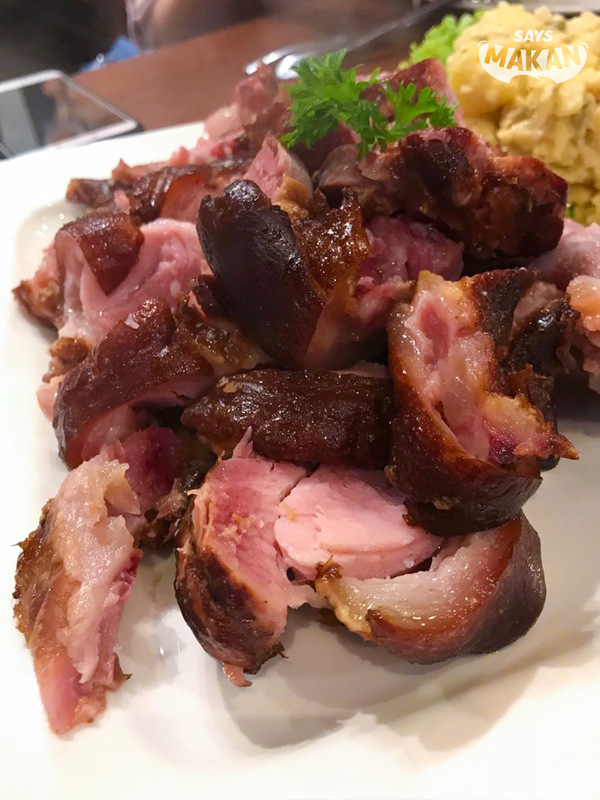 After over a decade of closing his popular butchery, Mr Ho Fine Foods, in Bangsar Shopping Centre (BSC), Mr Ho and his family are now back in the porcine business. But this time, serving yummy porky dishes at SS2 and even in Ipoh. This dish comes in a huge portion that’s perfect to share when dining with a group. 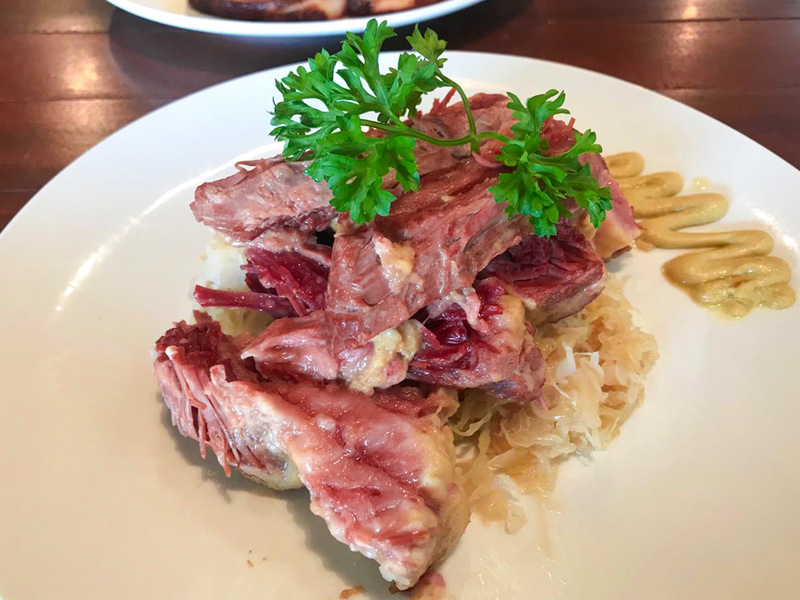 It’s served with a side of tart sauerkraut that perfectly balances the smoky flavour of the oh-so-tender meat. Pro tip: You can get a crispy version of the knuckle by ordering it one day in advance. 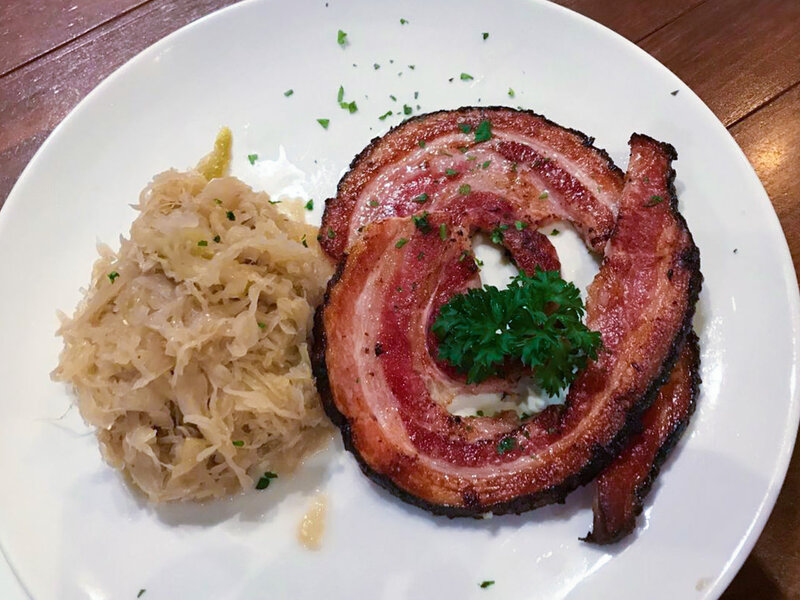 Every bacon fan at our table drooled over this Grilled Pancetta (RM17). It’s made with USA Pork and was crispy to the last crunch. You can enjoy this simple yet yummy dish with one side of your choosing﻿ like mashed potatoes, crispy fries, green salad or gherkins. The Crispy Roast Pork (RM17) lived up to our expectations. Their homemade recipe gave the crispiest crackling while keeping the meat tender and juicy with layers of sweet fat. We loved the sound of the crunch. We enjoyed ours with a side of garlic rice, which was extra flavourful as it is cooked with pork fat. Talk about flavour! 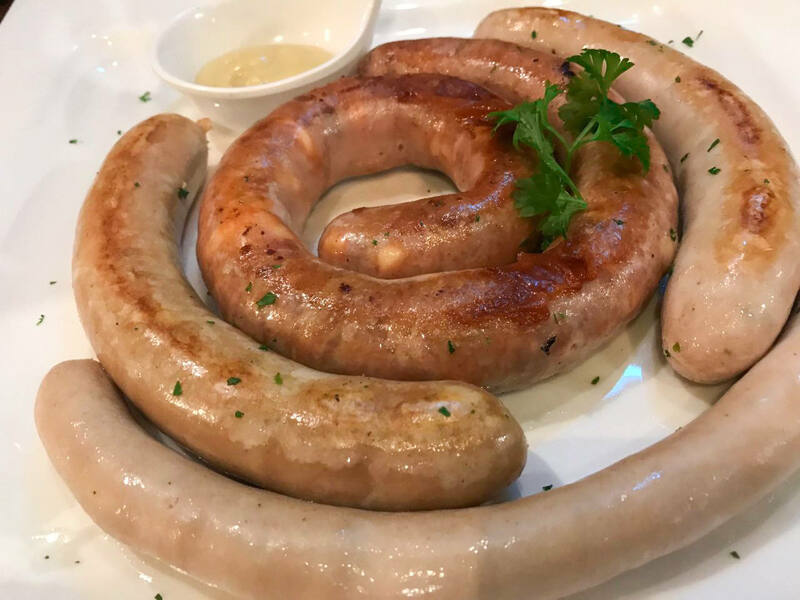 You can enjoy 10 yummy flavours of sausages here which include their Wagyu Beef Ring (RM30), Deluxe Nuernberger Ring (RM25), Vienna (RM9), and Deluxe Cheese Ring (RM25). We especially loved the Deluxe Cheese Ring because of all the cheddar oozing out with every bite! You can get more info on The Butcher’s Table here. 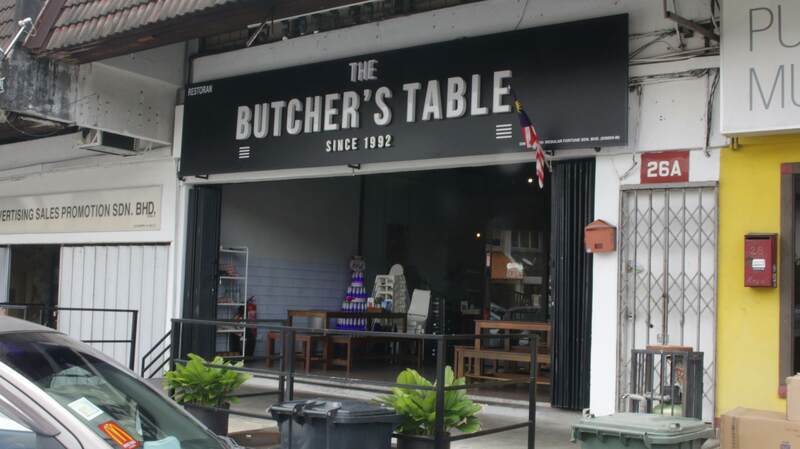 This Restaurant In Desa Sri Hartamas Lets You Grill Your Wagyu Beef To Perfection! Melt in your mouth beef. Imagine waking up to this for breakfast everyday.